In April 2011, Boston Mayor Thomas Menino and other luminaries gathered at a ribbon cutting ceremony to celebrate the opening of the Carl J. and Ruth Shapiro Ambulatory Care Center, Boston Medical Center’s (BMC) new, state-of-the-art facility for outpatient service. Located on Albany Street in the south end of Boston, the 250,000 square foot, nine-story building contains exam rooms, clinical labs, MRI suites, office suites, support space and a café. The building was designed to create a friendly, comfortable, patient-centered environment. 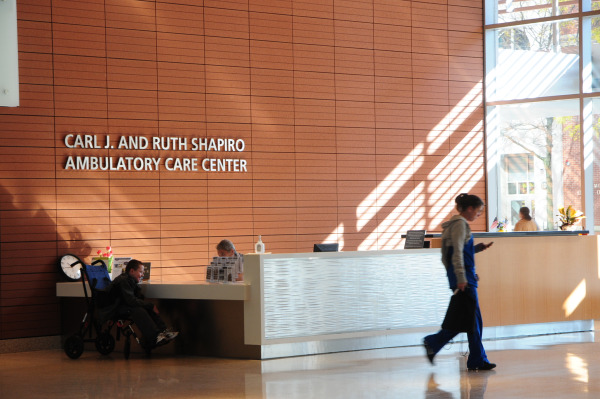 Although Shapiro’s primary focus is on serving patients, it is also an active center for collaborative work between physicians, departments and administrative staff. The new building’s sixteen conference rooms are always busy. Physicians consult on x-rays, teams gather to watch streaming video of procedures, and departments view Power Point and other visual presentations. “The conference rooms needed to support a wide range of activities and required sophisticated a/v technology. 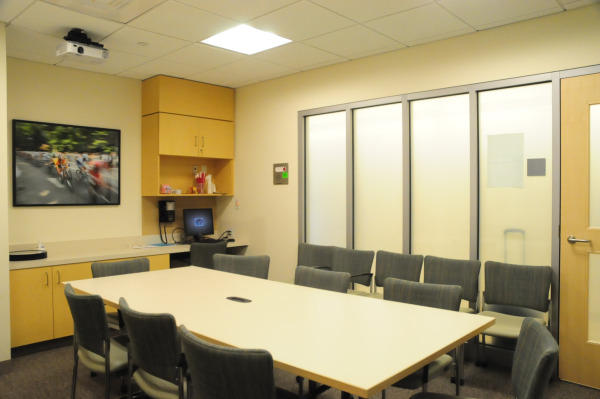 The popularity of the conference rooms means that the new a/v technology is clearly working well,” says Ray VonFyler, Structured Cabling Project Manager at Boston Medical Center. The success of the conference rooms reflects the advance planning and careful thought that went in to the project. VonFyler’s team met with end users to determine specific needs and then specified audio/ visual technology to meet both current and anticipated demands. Shanahan began designing and installing the a/v systems for the conference rooms in May 2011, shortly after Shapiro’s official ribbon-cutting ceremony. The project was completed by early summer. Previously, Shanahan had worked on multiple smaller projects for Boston Medical Center. “We have a good partnership with Shanahan. They always make sure I know about the latest technology and they explain issues clearly and simply. I can depend on them to arrive at the job on time and clean up thoroughly which are all very important to me,” comments VonFyler. For more information, please visit our video conferencing solutions web page.